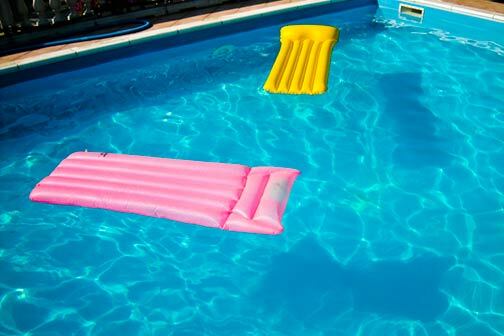 When buying a swimming pool filter, your most important decision will be determining the right type of filter to buy. This expert guide will help. A cartridge filter is the most common choice for a residential swimming pool. It will filter out particles down to 5 microns. (The smallest particle visible to the human eye is 35 microns.) If you feel that you need to filter out even smaller particles, or if your pool will be used for public purposes and is therefore subject to stringent codes, instead choose a diatomaceous earth filter or a sand filter. 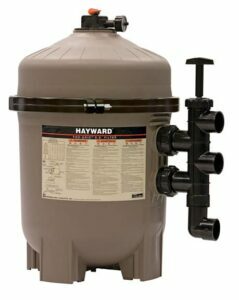 A cartridge filter is less expensive than a DE filter but costs a bit more than a sand filter. Cartridge filters are the easiest to maintain, and cleaning them uses much less water than is required to clean the other two types. A cartridge filter also requires less water pressure to work than does a DE or sand filter, so there is less strain on the pump. A typical cartridge filter houses three or four filter cartridges. The cartridges are usually made of paper or polyester, which has a tight weave to filter out all but the finest contaminate particles. The particles are trapped in the cartridges; after a time, the cartridges become clogged and must be cleaned or replaced. Typically, about twice a season cartridges should be removed and cleaned by simply aiming a hose at them. If that does not work sufficiently, try soaking them in a mild detergent and then rinsing thoroughly. Or, simply replace the cartridges. Of the three types of swimming pool filters, diatomaceous earth pool filters capture the finest particles—as small as 3 microns. Top-selling DE filter offers 48 square feet of filtering surface. Water passes into the bottom of the filter and is pushed up through a number of grids, each of which is coated with diatomaceous earth, an extremely fine powder actually made of fossilized plankton. 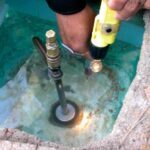 Though it is the most effective pool filter, there are several reasons it is not a popular choice for a residential pool. It is the most expensive and also requires a good deal more maintenance than does a cartridge filter. To clean the filter, you must reverse the water flow to “backwash” the filter and then drain out the dirty water. Unfortunately, you may need to use about 500 gallons of water to do this, and the washed-out diatomaceous earth is a hazardous material that must be disposed of in accordance with regulations. 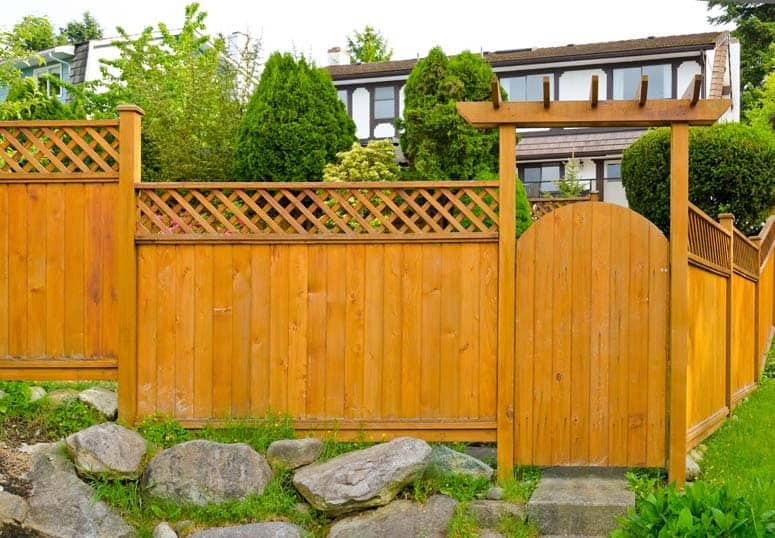 Plus, many experts think that backwashing is not good enough, that the grids should be removed and cleaned individually. 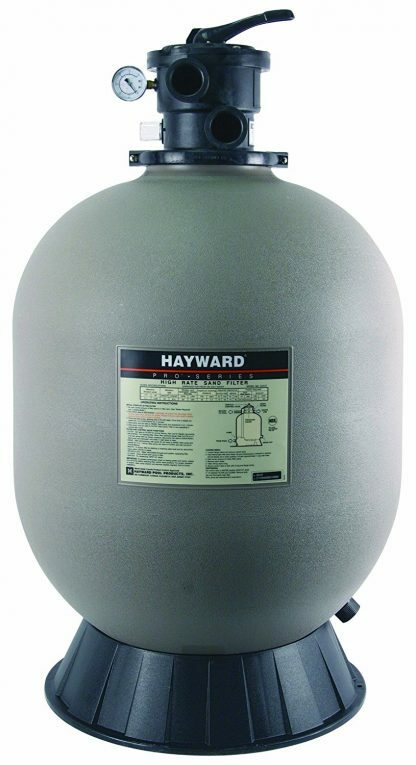 Sand filters, also called high-rate sand filters, were once the most common type. 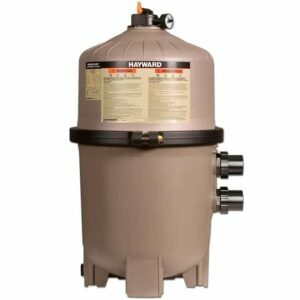 Sand filters are larger than both cartridge and diatomaceous earth filters because they must hold 200 or more pounds of swimming pool filter sand. They are the least effective type of filter, removing particles only as small as 25 microns or so. 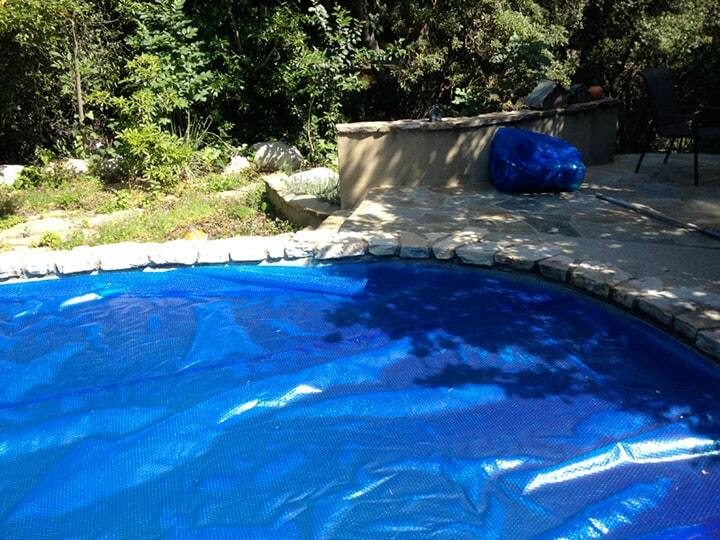 Still, if you already have a sand filter, it will do a sufficient job of keeping your pool clean. The tank, which may be metal or plastic, is pressurized. Water enters near the top, is forcefully sprayed down through the sand, and exits near the bottom. The sand traps the particles. The main drawback is the heavy maintenance schedule: A sand filter must be washed once a week or so. You must reverse the flow of water to “backwash” the sand. In doing so, you will waste about 500 gallons of water.